Eagle-memoried viewers may remember a little birdie embroidery kit I wrote about back in February. I got three little kits from Nancy Nicholson for Christmas. Nancy didn't buy them for me (she didn't buy me anything, can you believe that?? ), they were from Mr CA and wonderful parents. I finally finished another one. I actually stitched it in just a few evenings, but it took me a while to get started. 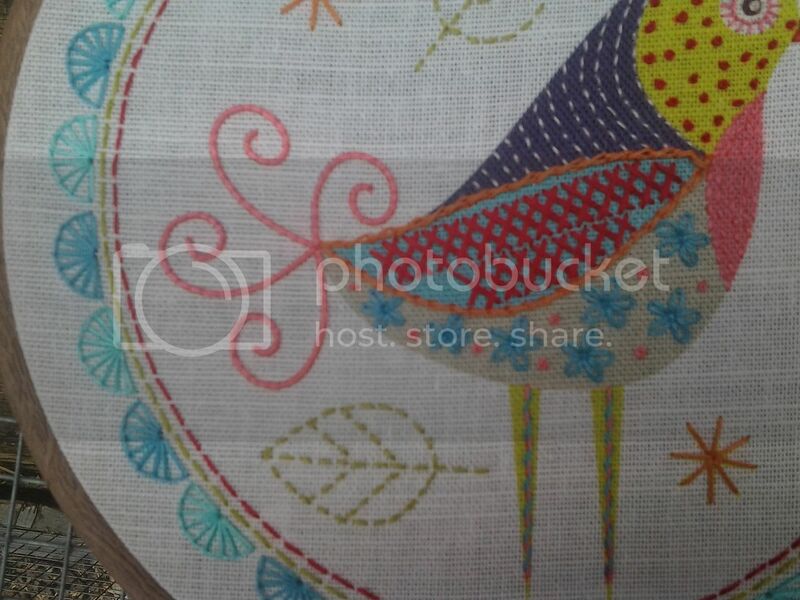 The kit contains a piece of cotton with the bird printed on in colour. You get some embroidery floss and a stitch guide, but of course you can go it alone and do whatever you like. Oh - I meant to put a little yellow french knot in the middle of those blue flowers, I'd completely forgotten! The tail is a six-strand of floss couched down. I haven't really done couching before and I was thinking of lots of possibilities for this technique as I was stitching it. It's mounted in a plastic hoop. The reason being that the first kit I did was oval shaped. I assumed they were all oval shaped so went on line to find an oval hoop. The wooden ones are the wrong proportions/ratio, only the plastic ones came in the right size. When I then discovered some of the embroideries are circular, I had to buy matching frames. The kits come in a little bag with a design printed on the front. I embroidered this one. 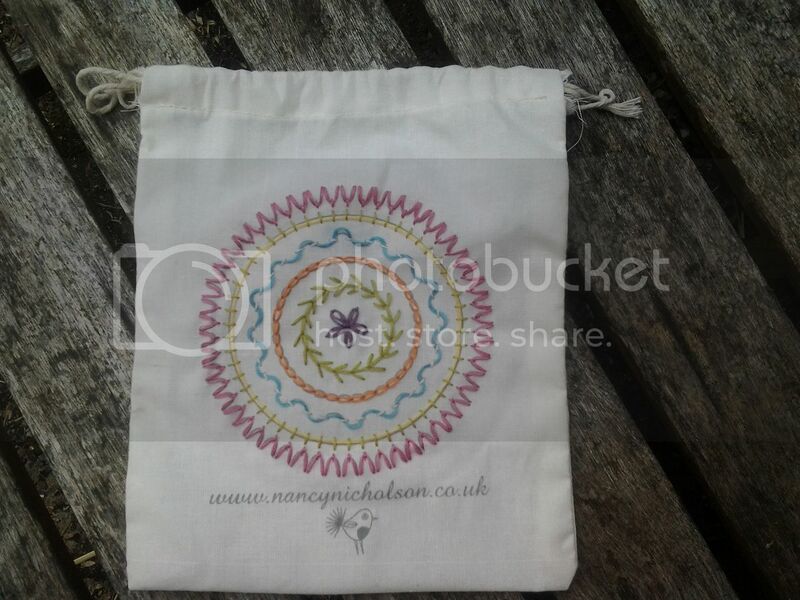 I can't find the last one but when I do I will embroider that too, oh and I have another kit too! 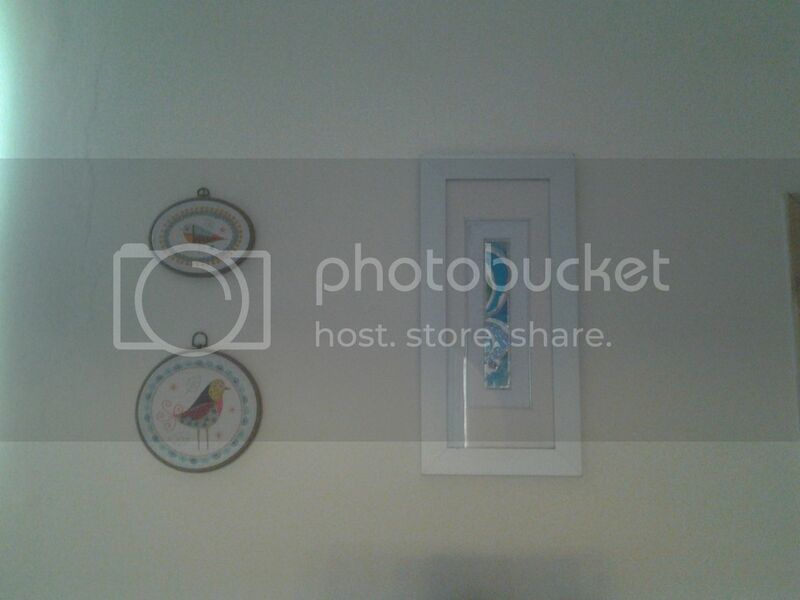 When I showed you my Silk Ribbon, I promised to show you a shot of my "gallery". These embroideries aren't in the gallery, they're on the opposite dining room wall along side my beautiful glass piece that the wonderful parents bought me for my birthday one year. I might have to rearrange a bit when the third one is done, especially as I can't remember if it's round or oval! On the opposite wall, where there is an arch through to my living room, is my gallery and here it is. You can just see my printer in the bottom right hand corner, this is where I'm sitting to blog right now. 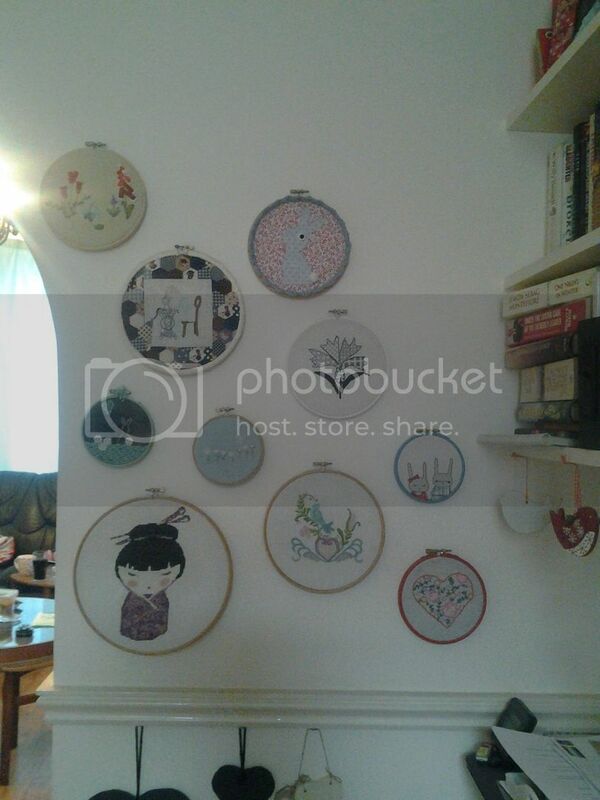 I'm putting loads of different embroidered hoops on this wall. Square or rectangular "art" (hahahaha, I just said art. About the crap I make!) is hanging on the stairs. One day I will show you a shot of that too, but it's a bit sparse at the minute. I need to get my finger out, get hanging and get embroidering. I haven't been very consistent with my blog post tags, so I can't link to all of the posts on these individual hoops, but you can find some of them here and here, if you're interested. 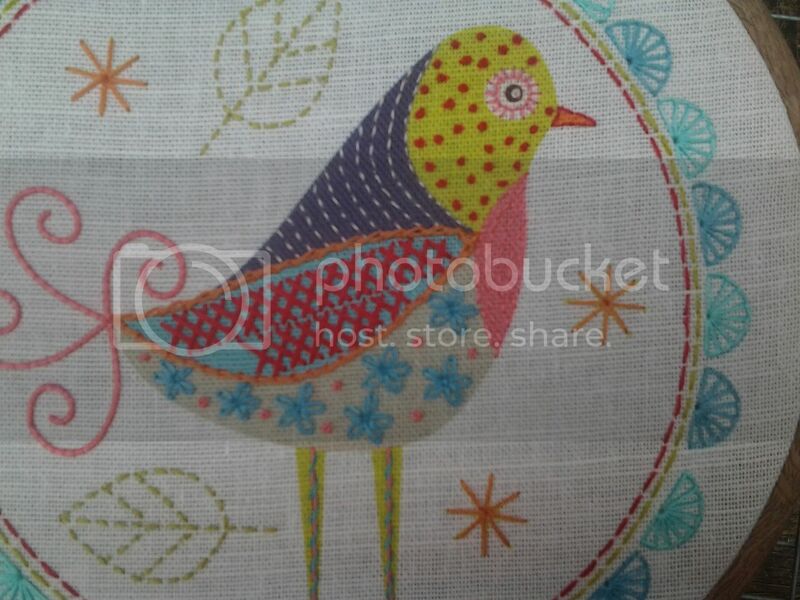 I love your bird embroidery art! Your stitches are impeccable! Your cluster of hoops works really well! And the bird looks like great fun! I love your gallery. The birds look tempting too although I usually run a mile from freestyle embroidery. 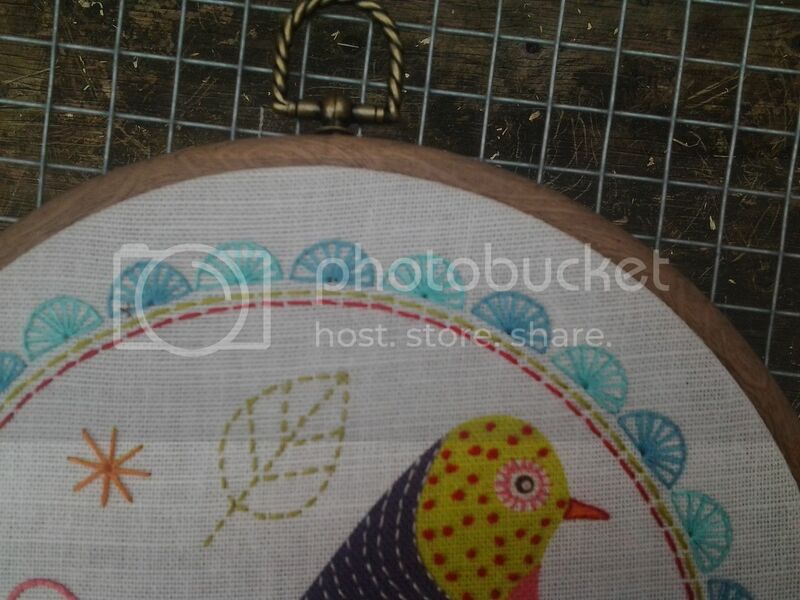 What a gorgeous little bird picture you've stitched. It's a lovely pattern and you've done a beautiful job embroidering it. I love your gallery! I think I also need a little gallery of hoops ;)! What a cute little bird! Love the colors! Isn't it funny how you see things you meant to do only when you're posting the photos on your blog? Well done on the bird, it's fabulous and I love your gallery wall. loving your bird such a variety of stitches you have used. The wall with all your makes looks so good and will inspire you to add more and more. 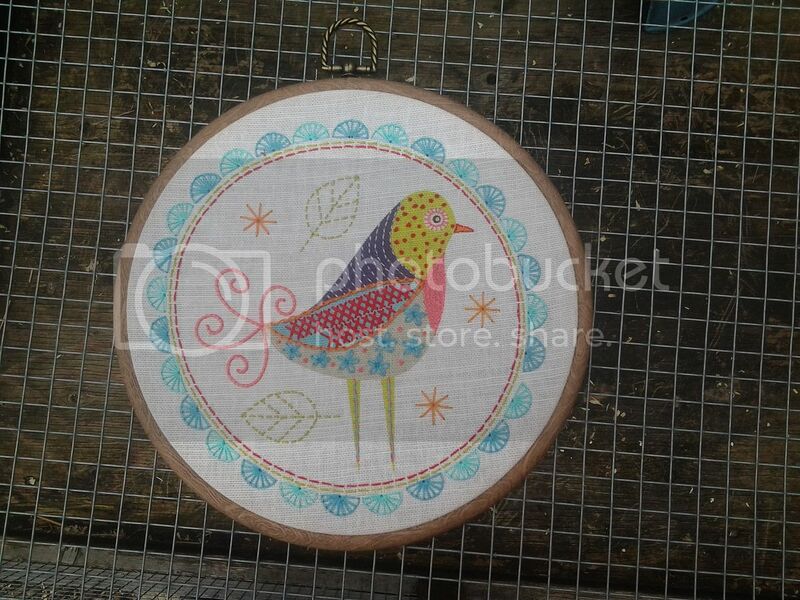 Hi Wendy, just love the birdie embroidery and your hoops displayed on the wall - perfect.